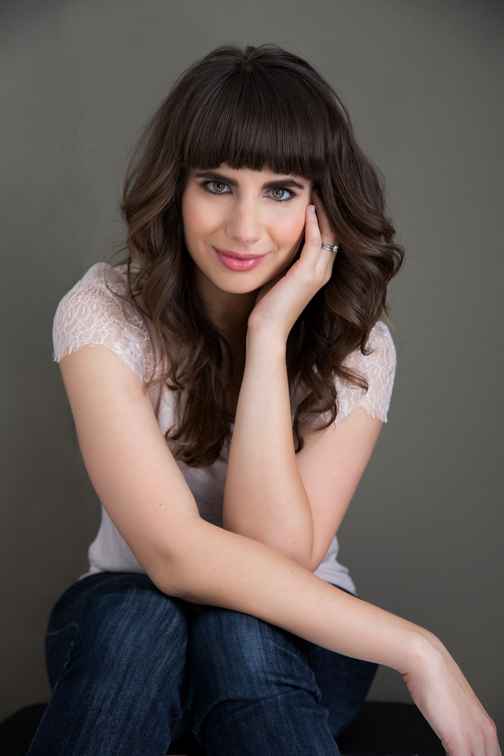 Gabrielle Tozer is an Australian YA author, journalist and editor. She has written for publications including Dolly, Girlfriend, Cleo, Cosmopolitan and TV Week. 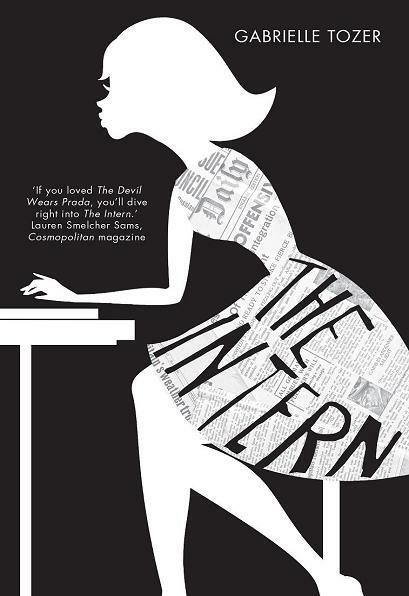 Her debut novel, The Intern, won the 2015 Gold Inky Award and is out in Australia, New Zealand, Germany and the US. 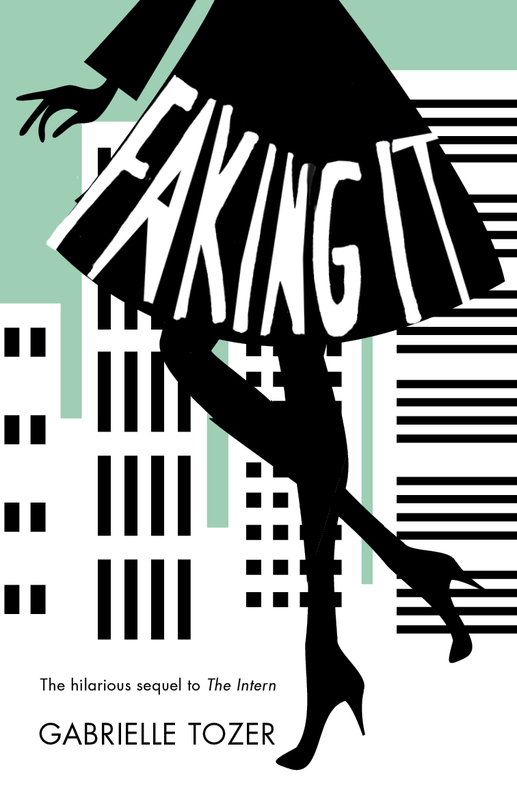 The sequel, Faking It, is out now and due for overseas publication next year. 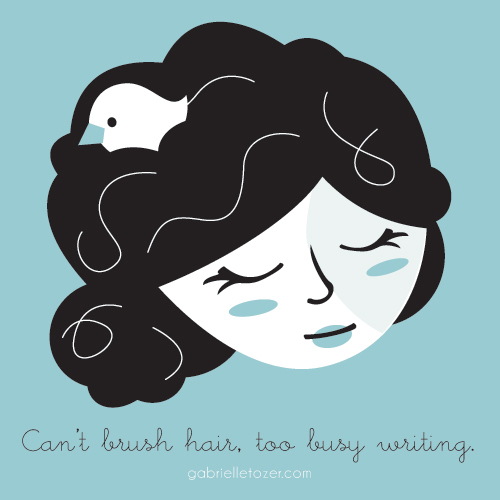 Gabby is writing her third contemporary YA novel, which hits bookstores in Dec 2016 (yes, that’s why she hasn’t brushed her hair! ), and tinkering with her first children’s picture book. I was a 21-year-old journalism and creative writing graduate when I moved to the big smoke to start my first full-time job as the sub-editor for a tween magazine. Since then, I’ve worked on a swag of titles including Dolly, Cleo, Girlfriend, Cosmopolitan and TV Week. My big fiction break came after years of writing short stories, entering competitions, going to courses and telling everyone in a 5km radius that I wanted to be an author one day – but not actually being brave enough to put pen to paper. Well, at one weekend course, I was big-headed enough to tell the teacher, Helen – who, turns out, was a non-fiction book publisher – my writing aspirations (oh, how I miss that shameless confidence!). Helen and I kept in touch over the years and then, one day, I received an email from the HarperCollins YA and Children’s Department asking me if I had any manuscripts lying around. Apparently Helen had passed on my website to show them. I was in shock! And, worse, I didn’t have a manuscript. I’d been too busy running my mouth instead of writing anything. But I pitched them some ideas and bled over four sample chapters (of what later became The Intern). With HarperCollins’ encouragement but no promises, I wrote the full manuscript on spec and was eventually offered a book contract the following year. I think I’m still in shock about how it all played out. Faking It, which is the sequel to The Intern, is out now. My next book – a YA contemporary standalone – hits shelves in December 2016. I can’t say much yet, but it takes place in regional Australia during the summer after Year 12. 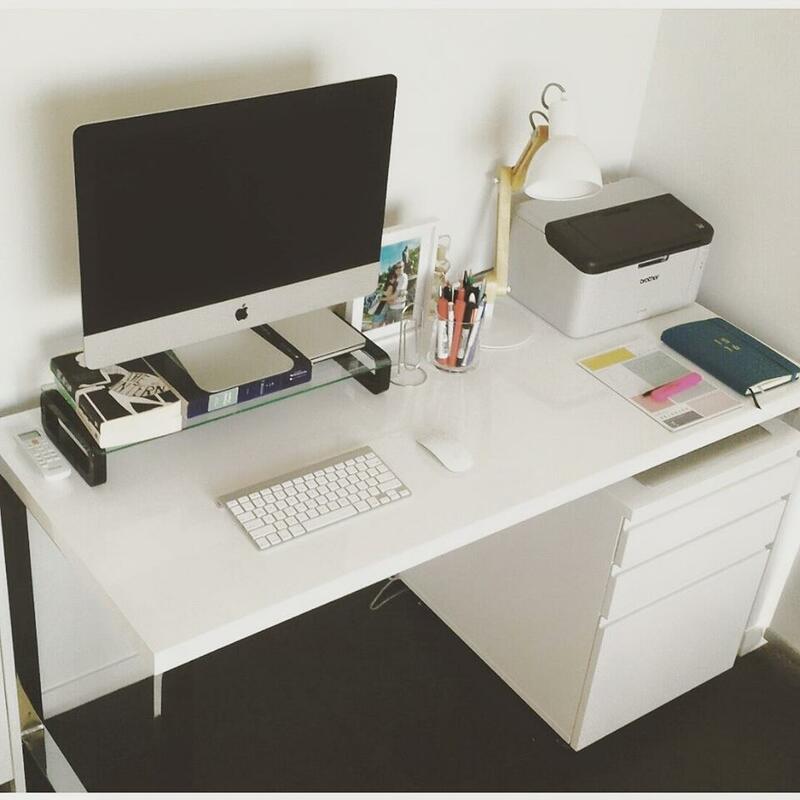 I swap between a desk at home in our one-bedroom apartment (it ranges from looking Pinterest-worthy, to the place where post-it notes and bills go to die), and a Macbook Air (to whisk between a hot-desk, libraries and the couch). I’m a freelance sub-editor and writer so no two days are the same anymore. Sometimes I struggle to squeeze in 30 minutes of creative writing around personal or work commitments, while other times I have the luxury of blocking out an entire day. Write, cry, eat chocolate and repeat. OK, OK, I haven’t nailed my “try this at home” writing formula! Some ideas need to be pinned down and dragged out, kicking and screaming, while others just “arrive”, begging me to write them. If an idea, character or feeling won’t bugger off, then I know it’s ready to be fleshed out. Before I begin I usually know my main characters (although we become much better acquainted as we go), the “feeling” I want to create, a loose storyline and arc, and a vague ending to veer towards. I also practice the “write first, edit later” method in an attempt to override my inner sub-editor, too. Maybe I’m a sucker for punishment? I find this writing biz challenging as hell, but I still love it. Even when it feels hard, it feels right. I’ve nearly given up a few times, but remembering the fearless joy of writing as a child always brings me back. Plus, as a writer, I can entertain people, make stuff up and work in my PJs. Enough said. Never feeling like I have enough time – to write, relax, see loved ones, be bored. I haven’t been bored in years! Author Allison Tait jokes about “lobbying for a 25th hour in the day” and I’m ready to join in. Self-doubt is another tricky beast, so I’m working on taming that one. That you can get injured from writing too much! I should have dedicated Faking It to my physiotherapist. If the book you want to read doesn’t exist yet, write it. In terms of the future, I’m thrilled with the surge of support for YA and children’s writing in Australia and hope this continues to grow. Yes, I want more. More YA and children’s authors at festivals! More YA and children’s authors profiled in the media! More opportunities for YA and children’s authors to visit regional and rural communities so we can spread this magical book love! More, more, more. Please and thank you. This is a tough question that’s bound to give me a case of the guilts for leaving someone out. I’m going to cheat and pretend you asked me, “Which female writers have inspired you to write over the years?” My answer in no particular order: Brooke Davis, Kylie Ladd, Rainbow Rowell, J.K Rowling, Gillian Flynn, Margaret Clarke, Mem Fox, Rebecca Sparrow, Jackie French, Debra Oswald, Lena Dunham and, of course, Melina Marchetta. The list goes on and on: Sarah Ayoub, Kylie Ladd, Kerri Sackville, Justine Larbalestier, Fleur Ferris, Rachael Craw, Trinity Doyle, Nicole Hayes, Alice Pung, Jessica Shirvington, Tara Eglington, Claire Zorn, Lauren Sams, Debra Oswald, Rebecca Sparrow, Rebecca James, Amie Kaufman, Lili Wilkinson, Steph Bowe… That’s a solid start. Phew. And thank you, Susan Whelan and Pip Harry, for recommending Gabrielle! * Author photo by Simona Janek at gm photographics. NB: This is the last of 3 interviews celebrating YA 3 ways. Read back for interviews with Nova Weetman and Steph Cuthbert!